The movie Bad Moms wasn’t a fine piece of cinema, but for anyone who has worn the badge of ‘mommy,’ the heart of it rang particularly true. And it’s nice, isn’t it, to hear that other women have the same mistakes, thoughts, bad days, and total f*ck ups that you do? I think so. And that’s why these 10 confessions give me a laugh – and a warm fuzzy. “You have not experienced the real walk of shame until you have padded down the hallway of your pediatrician’s office and announced to the front office and the adjacent waiting room, ‘I dropped my baby and I think someone should check him out. '” – Maureen S.
9. Get your hops! Er, veggies. 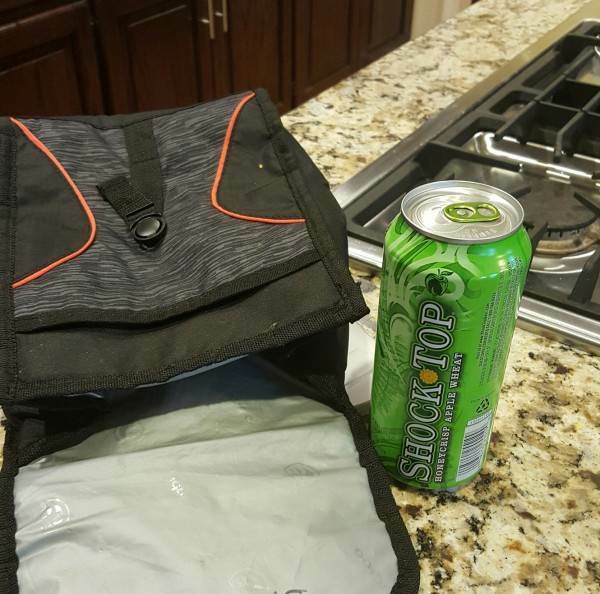 “I grabbed what I thought was a V8 Fusion out of the fridge and put it in my son’s lunch bag. It turned out to be a Shock Top BEER… I thought he was getting his veggies – not so much.” – Jenna S.
5. You know that feeling when you’re sure you forgot something? That. “My dear friend Jessica asked a favor of me. An easy thing, really. Our children attend the same school. Jessica and I were meeting at the gym after school. Would I mind picking up her four children and meeting her at the gym? Sure. Absolutely no problem. Anything for a friend. I went to the school and I drove through the pickup line and I loaded up my children and I waved at her children and I drove to the gym. And as I was about to get my sweat on, my phone rings. 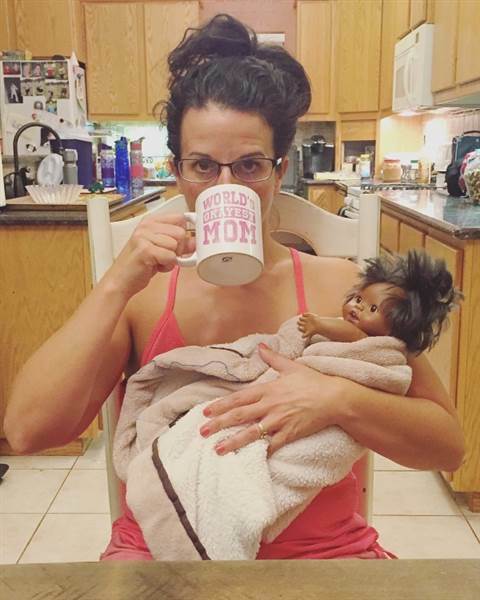 “A few weeks into potty training, I gave birth to my second child. My firstborn was in the routine of following me into the bathroom. What I didn’t take into account was that after you give birth, there is a lot of blood. I had been pregnant for as long as my daughter could remember, so she never experienced me having my period. Not that I would know how to explain that to a 2-year-old. Who came up with this ‘learning by example’ potty training? I blame being sleep-deprived for my lapse of judgment. My sweet 2-year-old looked at me in horror. I had scarred her for life. Now, she believed she was bleeding every time she peed. Every. Single. Time. 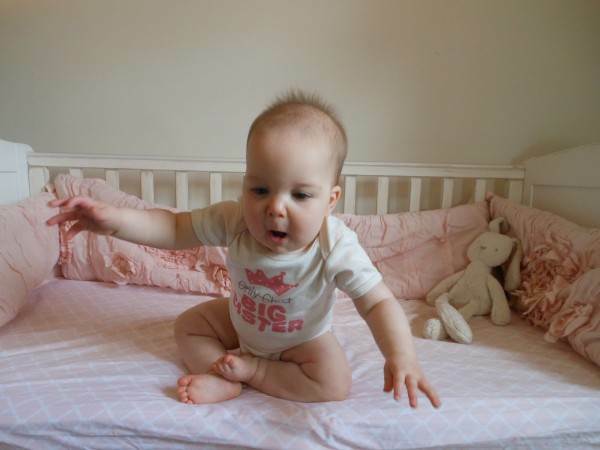 “I was taking a picture of our daughter to announce she would be a big sister when she decided to dive off the bed. 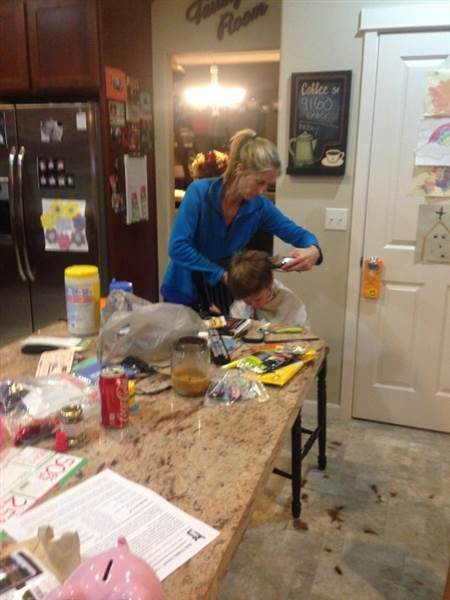 Luckily, her dad did catch her before she hit the ground.” – Sarah D.
“Almost immediately after taking the all-important first photo at Grandma’s house, the unexpected happened… I was holding Thomas when I heard the grunt and then felt the explosion. Somehow the poo hit his diaper with such force it shot up his back. A big brown, smelly stain was soaking through his shirt. In disbelief, I looked at my mom with desperation. Where was I going to bathe him? 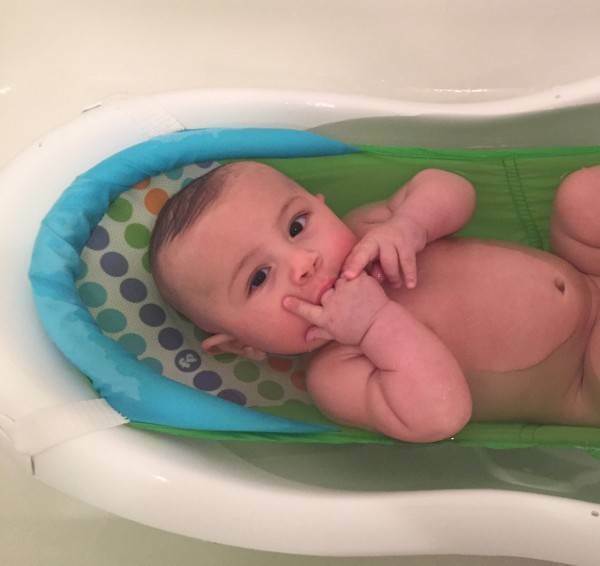 The sink was too small and the bathtub was too big for a 3-month old. 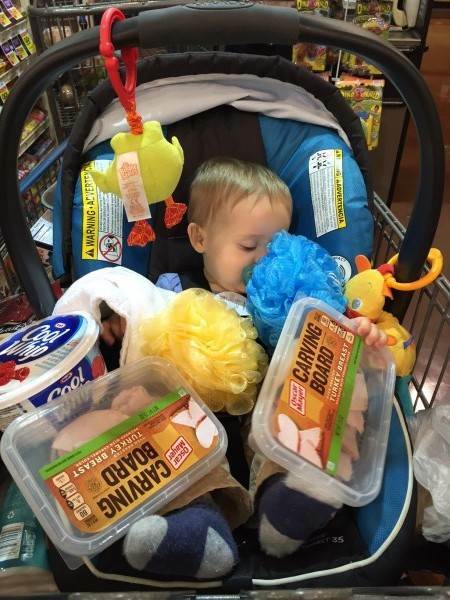 We hadn’t had time to buy a baby bathtub yet. For goodness sake, we had just landed! The timing was impeccable.